Superior wiring eliminates frustrating hums, buzzing, and crackles. 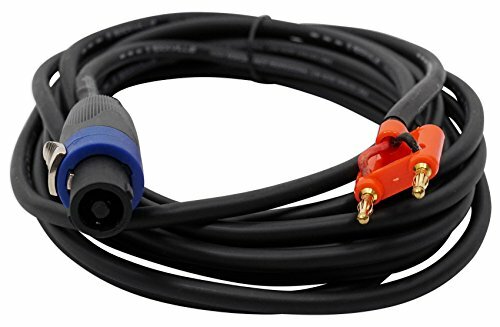 Rockville 16AWG Speakon to Banana Plug Pro Speaker Cable. 100% Oxygen Copper Conductors for Lower Resistance. ROHS compliant. Black PVC Jacket for Both Durability and Flexibility. Length: 20 Ft.
Superior wiring eliminates frustrating hums, buzzing, and crackles. Gauge: 16. Rugged rubber-insulated exterior and sturdy construction enhances signal and performance.